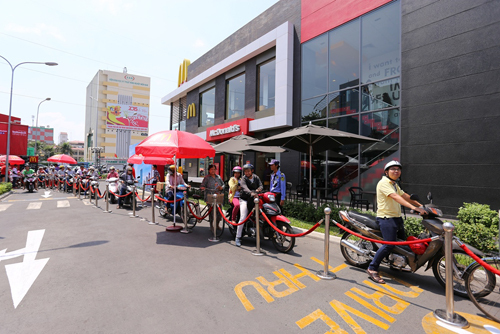 Hundreds of people in HCM City recently queued up for more than three hours under the harsh sun for free McDonald's food. Many people slammed the queue as "lacking of self-esteem" and that McDonald's way of doing PR lacked humanity. However, there are others who say there's nothing shameful at all to queue for free food. What do you think? Do businesses give free food/free samples in your countries? Do local people like it? Do you personally like free food and free samples?